It’s no secret that I’m obsessed with indian food, everything about it—the spices, the bold flavor and taste… and I try to make it as much as I can—however, it sometimes involves a lot of work. 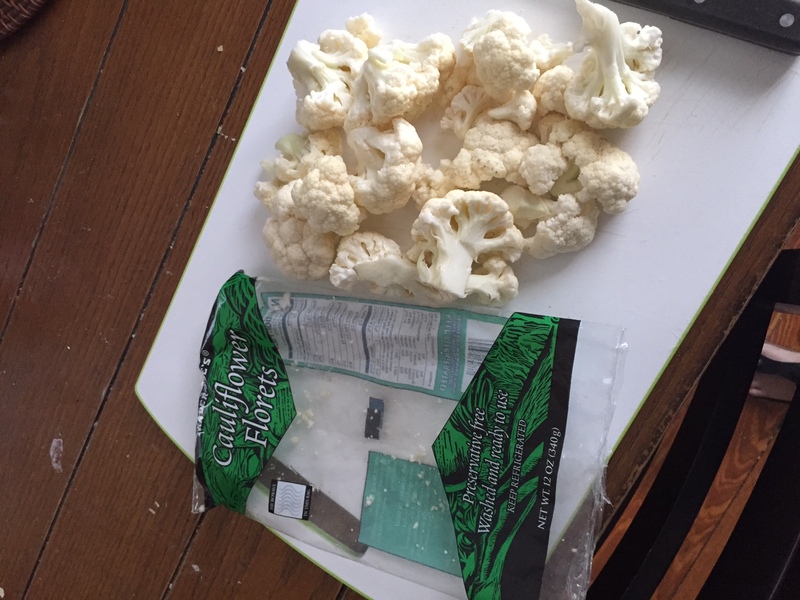 I came up with this combo when I was trying to decide how to cook my favorite veggie in a different way, cauliflower. Why not put an indian twist on it?! 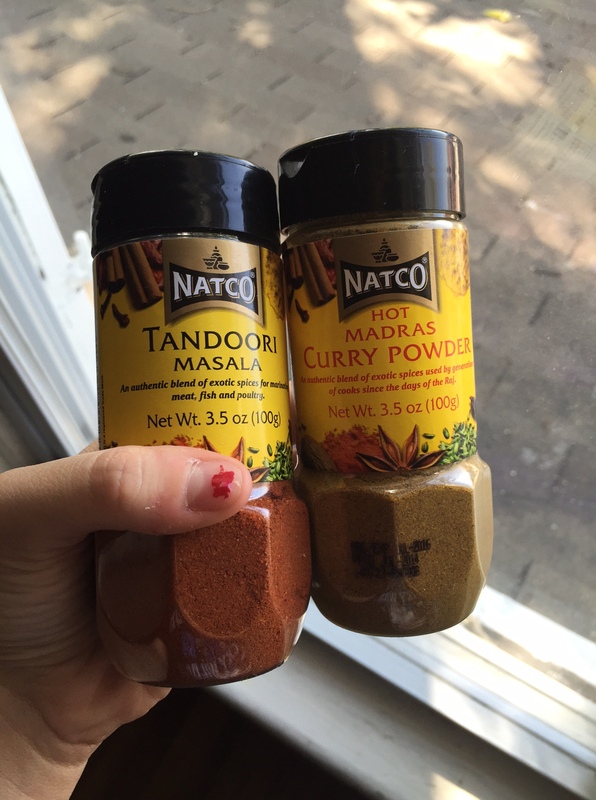 This recipe is sorta the “cheat” way in making indian cuisine but hey, it’s fast and does the job! 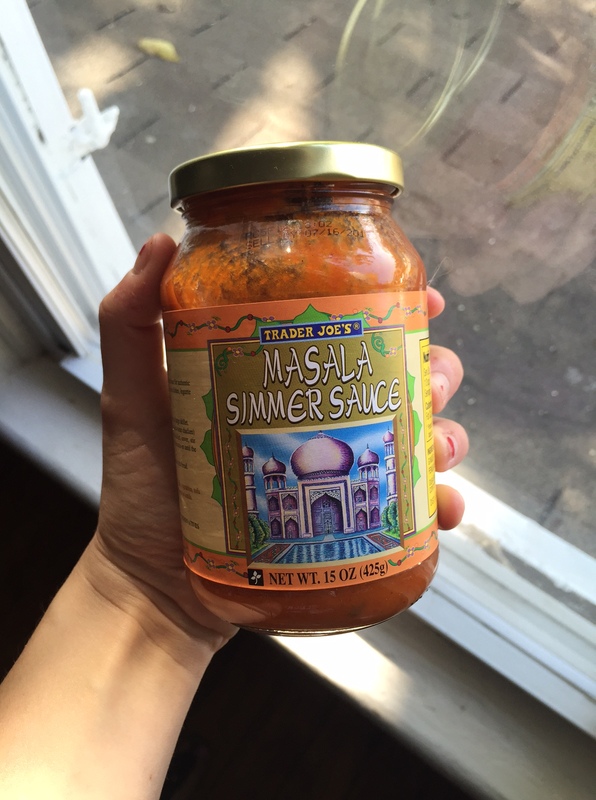 **Don’t forget everything can be found at Trader Joe’s! ***^^Above are all the ingredients that you’ll need! Optional spices are always recommended :) Simply coat your skillet with olive oil and turn on high heat, add cauliflower and cook till edges start to brown. 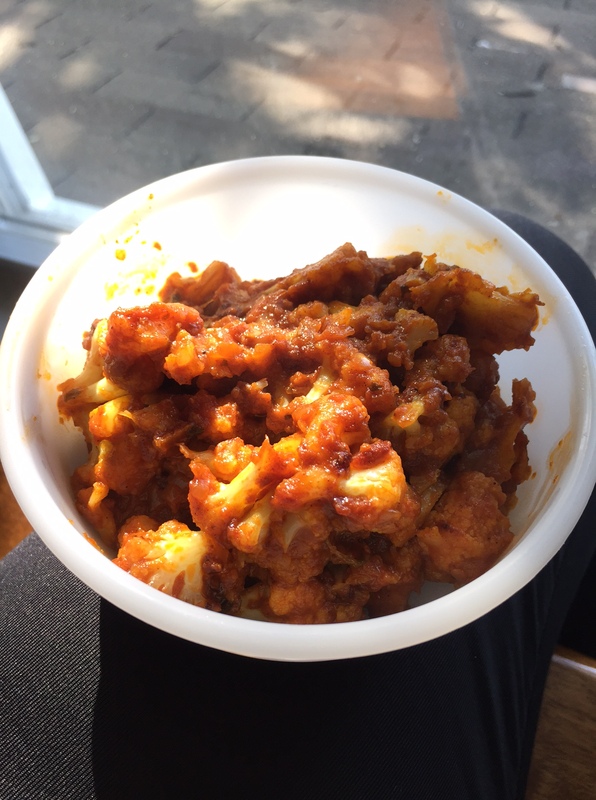 Add the masala simmer sauce and spices and continue to stir on medium heat until cauliflower is cooked thoroughly! Enjoy!